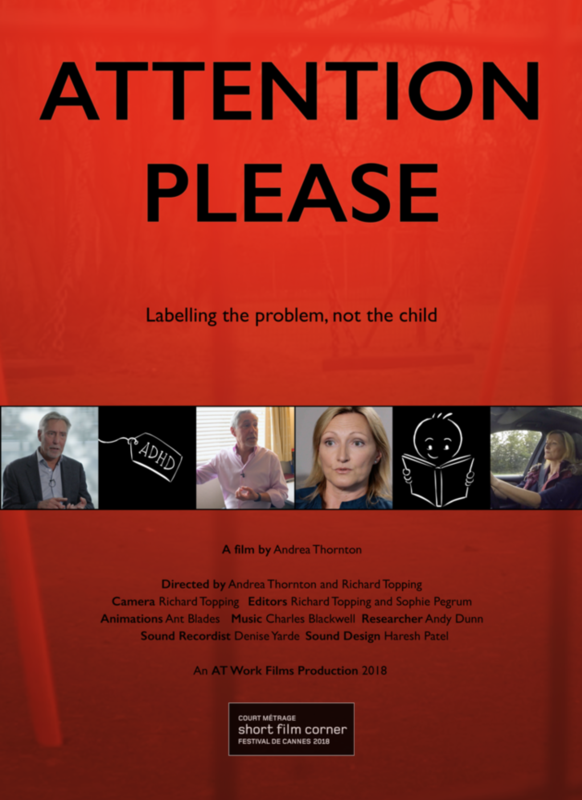 Our work featured in a short documentary entitled “ Attention Please”, produced by Andrea Thornton of AT Work Films. In May 2018, it was shown at the Cannes Film Festival and was also privately screened at the Curzon Cinema in Soho. In October 2018 , Andrea’s documentary premiered at the Atlantic City Cinefest where it was awarded Best Short Documentary Mental Health.